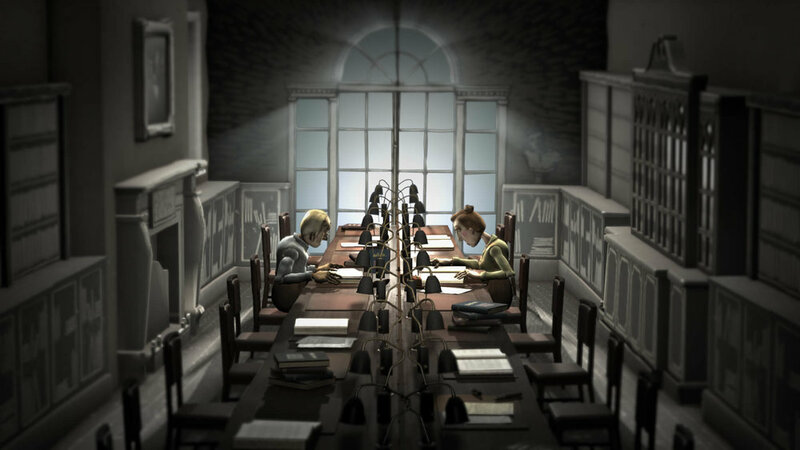 This four-minute animation was inspired by the historic London Library. There is a wonderful intensity to the silent relationships between people who see each other daily, but rarely exchange a word. When imagination is further stimulated by books, who knows what thoughts pass through their heads? Voyeurism becomes a central theme - that distracted gaze that amalgamates reality and fantasy until you forget where you are.